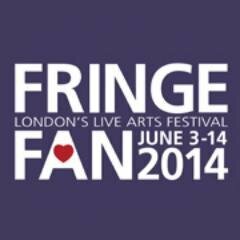 Congratulations to all of those who took home TiLees, and thanks to every performer, artist, writer, director, stage manager, technician, trouper, Fringe board member, and audience member, for making the fifteenth London Fringe Festival another successful celebration of unique, independent, live theatre. Thanks also to Theatre in London’s review team of Emma Allison, Jo-Anne Bishop, Laurie Bursch, Erika Faust, Clara Madrenas, Bryan McLennon, Jeffrey Preston, and Sean Quigley. Finally, special thanks to the Fringe staff who work behind the scenes to make the festival and other events throughout the year happen: Dami Akinyele, Amanda Borland, and Charlene Wolf, trouper coordinator Sue Garner, producer Alison Challis, and executive producer Kathy Navackas.